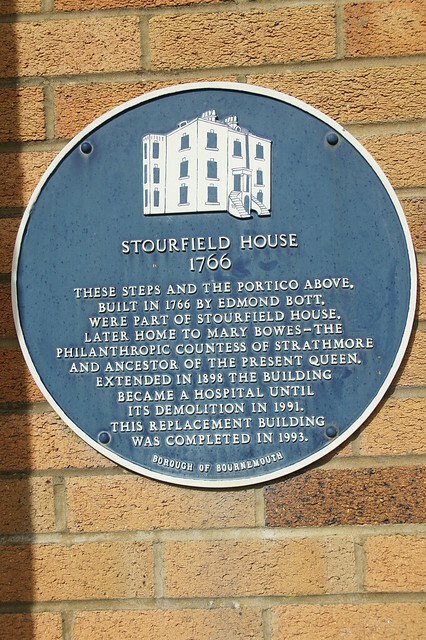 Stourfield House 1766. 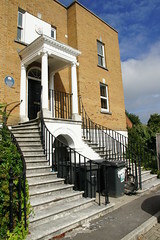 These steps and the portico above, built in 1766 by Edmond Bott, were part of Stourfield House, later home to Mary Bowes - the philanthropic Countess of Strathmore and ancestor of the present Queen. 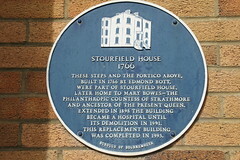 Extended in 1898 the building became a hospital until its demolition in 1991. This replacement building was completed in 1993.